How do you reconcile passengers’ demands for efficient, seamless journeys with the increasing need for effective security? 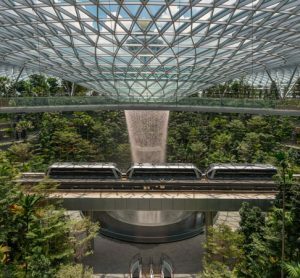 Airports, airlines, governments and technology providers have been juggling these conflicting demands for some time and looking to the latest technologies for answers. 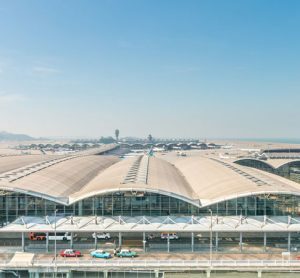 Matthys Serfontein, Vice President – Airport Solutions at SITA, believes stakeholders must come together if we are to achieve the perfect balance. Following steady progress over the last few years, the air transport industry is now on the cusp of being able to offer a truly seamless, secure walkthrough experience. There is no doubt that recent technologies have made it easier to reliably check traveller identities. The widespread adoption of ePassports in particular has reduced the opportunity for identity fraud. Biometric data, including face and fingerprints, is digitally encoded within a chip embedded in the physical ePassport book enabling live biometric checks of the holder, ensuring that the person carrying the passport is the owner. These biometric checks can be used at every point of the journey. 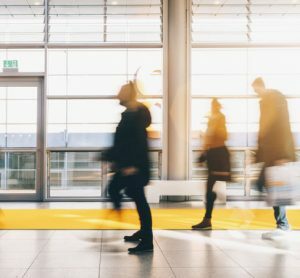 SITA recently revealed Smart Path™, a new capability that allows passengers to move through the airport and board the aircraft simply by verifying their identity at each step using a biometric identifier. Once enrolled, after the first touch point in the journey through the airport, there is no need for the passenger to present a boarding pass, a passport or travel documents again. Upon enrolment the passenger’s identity is checked against their travel documents – typically the e-Passport – and a secure single token is created. At each subsequent step of the journey – from check-in to the aircraft – passengers gain access with a simple biometric check rather than having to show their passport or boarding pass again. This fast, secure and seamless walkthrough experience is already within reach of today’s passengers. Single token travel simplifies secure passenger processing for everyone: airlines, airports and border authorities. SITA Smart Path has already been trialled at a major airport in the Middle East and more pilots are expected over the coming months. One of the key benefits of Smart Path is that it integrates with existing airport infrastructure – including industry standard common-use self-service equipment, such as check-in kiosks, bag drop units, gates for secure access, boarding and automated border control. This makes rapid deployment easy and cost-effective. SITA Smart Path also integrates with government systems and databases, allowing integrated immigration and border checks. It is clear to see why airports and airlines would embrace this technology so enthusiastically. It will improve security oversight and enhance the passenger’s travel experience by speeding up passenger processing and reducing the resources needed to manage the travel journey. The proliferation of mobile technology in recent times has increasingly allowed individuals to use their digital credentials in both the physical and online worlds. The use of digital identification is a phenomenon occurring across many different industries. Precedents are being set and standards developed as these industries move towards online identity checks, often my means of their customers’ mobile devices. Single token travel is the future of travel identity management, embracing this new era of digital credentials to give air travellers the balance between convenience and the peace of mind they need when flying. As part of ongoing research into optimising the travel experience, SITA has been exploring the potential of single token travel to allow travellers to pass through the airport, including crossing borders, with a single, digitally-verified identity. Hailed by some as the air transport industry’s ‘Uber moment’, single token travel has the potential to make the travel experience frictionless. It will make moving through airports and across borders easier, while also dramatically improving security – making the elusive combination within touching distance. As ever, SITA is investigating how new technologies can complement existing solutions. 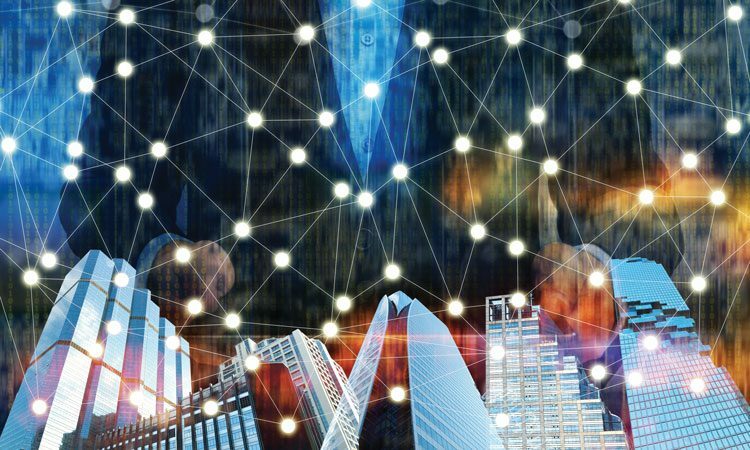 SITA’s latest research is looking at how blockchain technology can facilitate an even better single travel token experience. Blockchain technology1 is most famous for being the underlying technology behind Bitcoin but it could also help revolutionise traveller identity management, thanks to its ability to ensure data privacy. SITA’s innovative research shows us that blockchain could enable passengers to create a verifiable digital identity on their mobile that contains biometric and other personal data. In this future world of travel, no matter what country you are in, any authority can simply scan your face and scan your device to verify who you are and your status as a traveller. Crucially, this can all be achieved without agencies ever controlling or storing your biometric details or personal information, since the entire transaction would take place securely via the blockchain. Convenience of travel across multiple providers such as airlines, airports or government authorities usually means giving up control of personally identifiable information. This is because traveller data and identification information must be kept in a central database where agents and authorised users can access it. While access can be limited, privacy can never be guaranteed: central databases are subject to the possibility of cyber attacks where large numbers of records can be compromised. These concerns, among others, limit the viability of central database solutions that involve sensitive personally identifiable information. And that’s the beauty of blockchain technology. It ensures passenger data is secure, encrypted, tamper-proof and unusable for any other purpose. At the same time it eliminates the need for a single authority to own, process or store the data. The crypto-led computer science of blockchain provides a network of trust, where the source and history of the data is verifiable by everyone. SITA has recently worked with blockchain start-up ShoCard on an early demo of these concepts. It is aimed at easing a traveller’s journey through different airports and airlines using a single travel token or identity on the traveller’s mobile device. 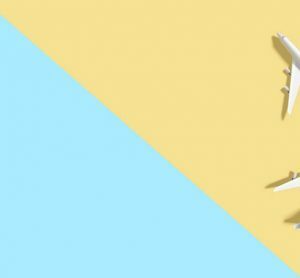 It is early days and the issues of scalability and adoption rates need to be examined, but SITA is looking at how the air travel industry – airlines, airports and government agencies – can take advantage of the new era where the underlying blockchain protocols provide trust so that individuals or authorities don’t have to. The future of travel identity management looks bright – single token travel will make it more efficient, more secure, and more convenient for passengers and those managing checkpoints right across the airport. Matthys Serfontein is Vice-President of SITA’s Airport Solutions where he is responsible for overall strategy, portfolio direction and investment, business development, product delivery, customer implementation and commercial operations. Matthys joined SITA in 2007 as Regional Vice President for the airport solution line in Africa and has held his current position since 2012. Prior to this, Matthys enjoyed various senior management positions for the Airport Company South Africa and the South African companies, e.Airports Ltd and OSI Airport Systems as Managing Director.